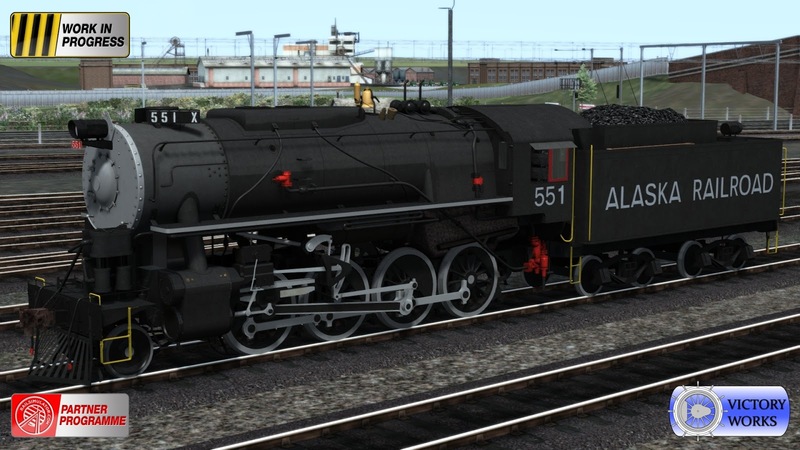 As promised we're now headed over for our first look at the S160 in the place of it's birth, the United States of America. We are creating 2 liveries specific to the USA - with a bunch of variations of course. 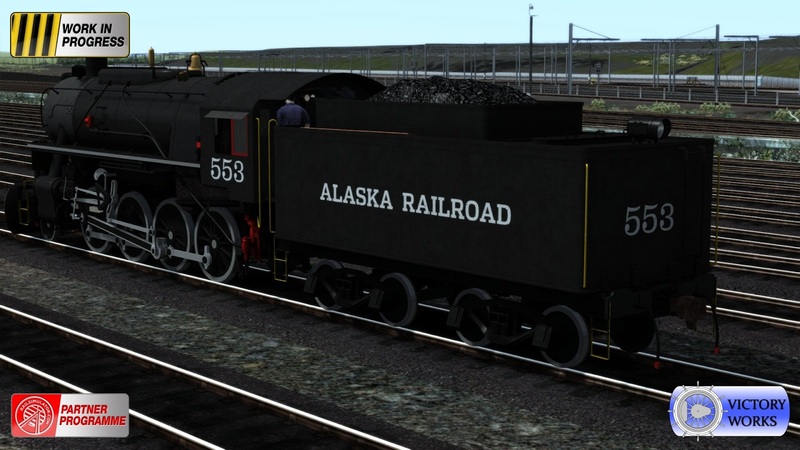 First up today are the Alaska Railroad liveries. Seen here in an early livery with some specific US features - Westinghouse brake mounted on the front buffer plate, bell, spotlight, extra numbering on the chimney sides and front and of course a snow plough for winter use. The plough is fully scripted and throws up a beautiful plume of snow either side based on the season, how much it is snowing and the speed of the locomotive. .. whilst others had it on the tender instead. 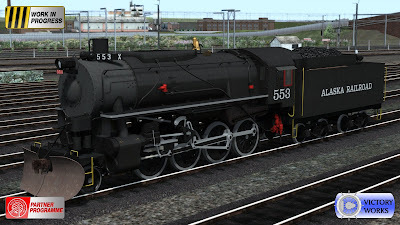 This choice can be set via the locomotives scenario number and the tender intelligently follows suit. As well as making it quick and easy to set up, the other advantage of this is that Quick Drives are always synchronised and you will never get a mismatched locomotive and tender. The above picture also shows the pilot (cow-catcher) when the snow plough is not required. 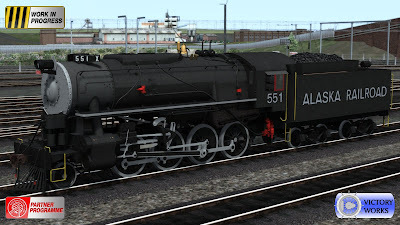 We're also including a later version of the ARR livery as seen in the next picture with it's very striking silver "nose". 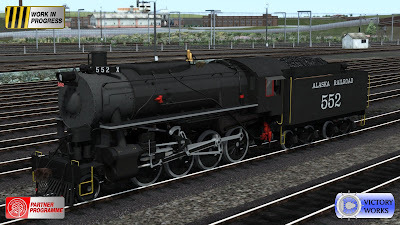 Other options for these liveries include a choice of chimneys, whistles (the original version or a vertical "US style), electrical generator location, bell location (in front of the chimney or behind the sand box) and a lever or screw reverser. That's all for now. Next time we'll be staying in the USA for the second state side livery. 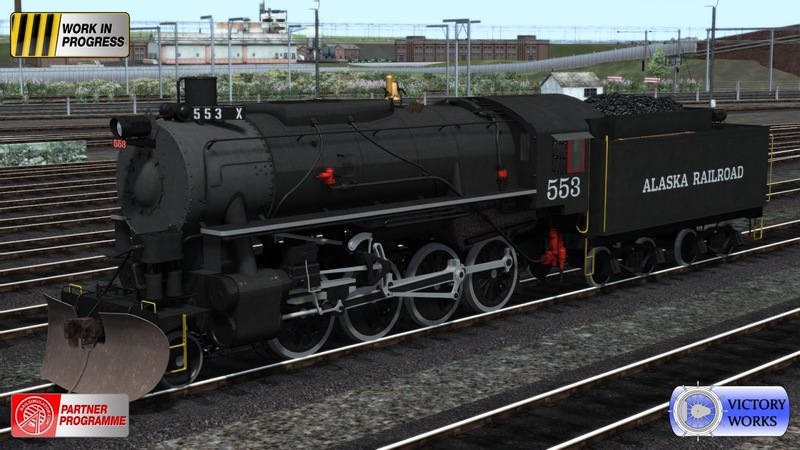 Will any of these locos have the headlight in the center of the smokebox?